5 Top Anti Dandruff Shampoos You Should Try For Indian Hair ! We get plenty of anti dandruff shampoos in the markets to treat dandruff but we can easily make our own anti dandruff shampoo that treats dandruff very effectively without any of the harmful chemicals. The ingredients given for the recipes below can be easily got here in India and they work perfectly for Indian hair. Dandruff is a skin condition that causes flakiness of the scalp resulting in white flakes falling off on our dress. It can affect young and old and though it is not a serious condition, it can be uncomfortable as it causes itching and severe flakiness. Dandruff if left untreated can lead to hair fall. If you like to get to know all the amazing home remedies for dandruff, you can read it here. These home remedies work really well in treating dandruff, but you have to use them regularly to see results. 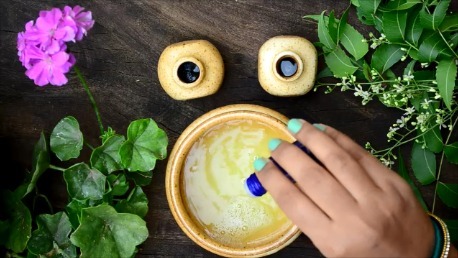 Choose a remedy you like and use regularly and along with it use these homemade anti dandruff shampoos for best results. The most common symptoms of dandruff are appearance of excessive amount of white flakes in the scalp and extreme itchiness. You can read about all the causes and treatments available for dandruff here. The degree of flakiness and itchiness will vary from person to person and it also depends on the severity of dandruff. It is always best and easy to treat dandruff in the initial stage itself. Since one of the most common reasons for getting dandruff is a fungal infection, most of the shampoos contain ingredients that contain anti fungal properties to fight of the fungal infection. Some of the common ingredients used in anti dandruff shampoos are zinc pyrithione for mild dandruff, ketoconazole for severe dandruff, coal tar but it smells bad and selenium sulfide. Almost all of the anti dandruff shampoos available in the markets comes with a long list of chemicals that we can’t even pronounce along with synthetic fragrance and colors. If you plan on using store bough anti dandruff shampoos, try to research well about the side effects and also find out how long it can be used continuously. I have used store bought anti dandruff shampoo once and the smell of the ingredients was so strong that it even over powered the added fragrance. It also made my eyes water. We can easily make anti dandruff shampoo at home. 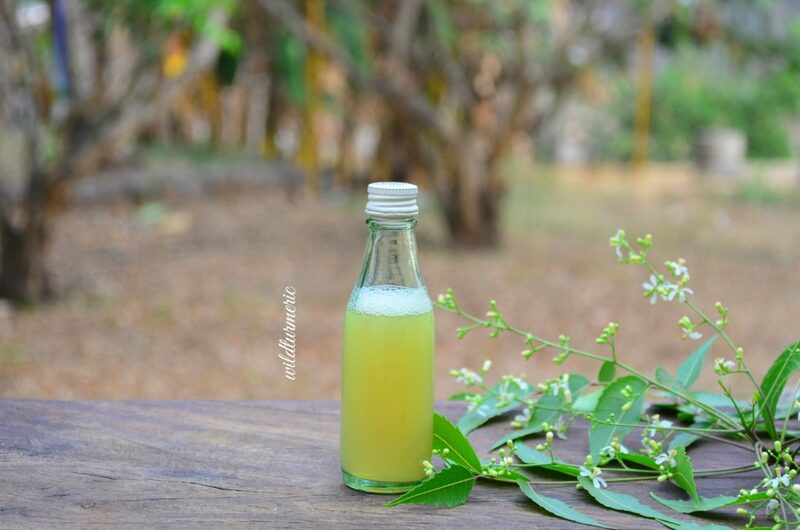 Homemade anti dandruff shampoos are so gentle to be used even for children. Unlike store bought shampoos these can be used for long durations of time. They don’t smell strong and they don’t have any artificial color or fragrance and till date, I have not had any problem using these amazing shampoos. 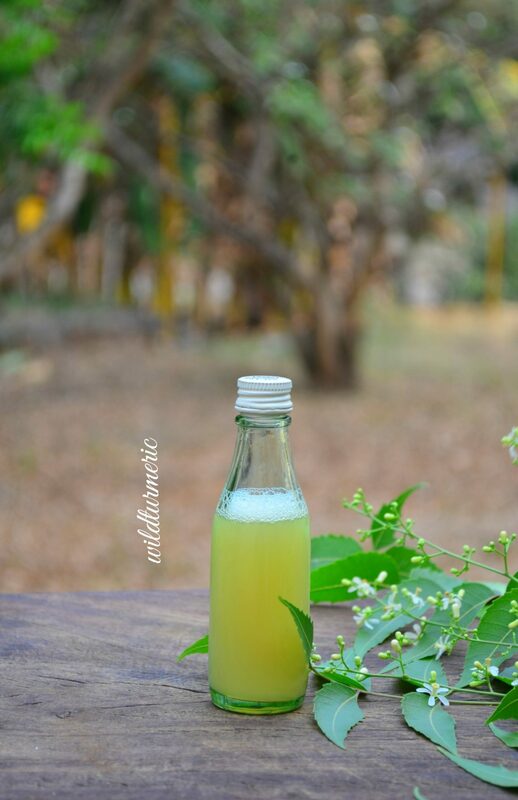 The neem anti dandruff shampoo alone can taste bitter even if a small amount of it enters your mouth which is normal. They are also very effective in getting rid of dandruff. All we need is a powerful anti fungal to treat the dandruff and we can easily do it by including fresh neem leaf or rosemary or poduthalai extract. I also love to add essential oils to my anti dandruff shampoo to make it smell good and I choose essential oils that have anti fungal properties. My favorite essential oil to use in anti dandruff shampoos is tea tree essential oil as it has powerful anti fungal properties. You can also use other essential oils like lavender, rosemary, peppermint, etc. I use liquid Castile soap as a base for making the shampoo. Castile soap is natural bio degradable soap made with olive oil as a base, you can easily order it online. When it is available in liquid form it is called liquid castile soap. Try to make small batches of this shampoo and use it with a week, if you want to improve the shelf life you can also refrigerate it. Though this shampoo might look a bit runny compared to commercial shampoos, it foams and cleans well. It also helps get rid of dandruff very quickly and permanently. 1. 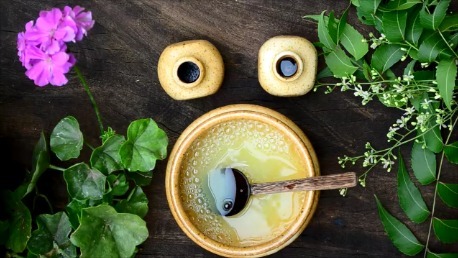 Take equal quantities of liquid Castile soap and your choice of herb extract (choose any one of the five herb extracts given below) in a bowl and mix well. I used 1/4 cup each of both Castile soap and the herb extract. 2. Add 5 to 6 drops of tea tree essential oil and mix well together and your anti dandruff shampoo is ready! Store it in a bottle and use it to wash your hair. Neem has wonderful anti fungal properties that makes it very effective for treating dandruff. Boil a handful of neem leaves in 1/2 cup water till it reaches 1/4 cup and strain. Use it to make the shampoo. 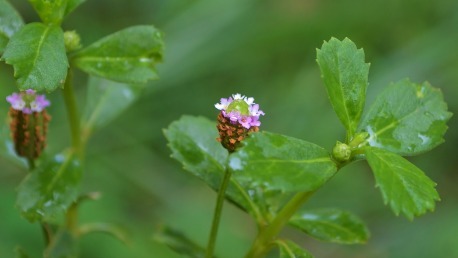 Poduthalai is a famous herb in Tamil Nadu used in Tamil Nadu to treat dandruff. You can read about poduthalai in detail here. 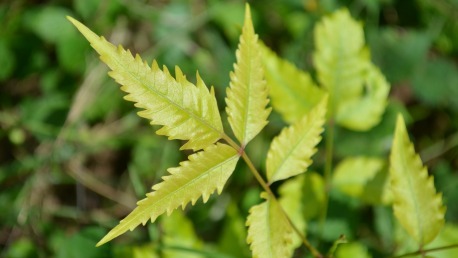 Boil a handful of neem leaves in 1/2 cup water till it reaches 1/4 cup and strain. Use it to make the shampoo. Rosemary is very very effective for dandruff. You can use either fresh or dried rosemary for the infusion. 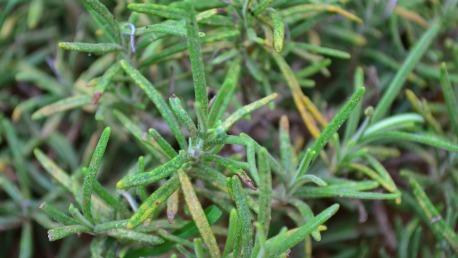 You can read about rosemary in detail here. Boil a handful of rosemary leaves in 1/2 cup water till it reaches 1/4 cup and strain. Use it to make the shampoo. Brahmi has been used in India for hair growth for many years and it is very effective in treating dandruff too. 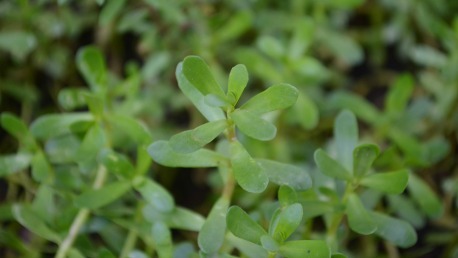 You can read about brahmi here. Boil a handful of brahmi leaves in 1/2 cup water till it reaches 1/4 cup and strain. Use it to make the shampoo. Sage is an another herb very effective for treating dandruff. We get both fresh and dried sage here in India, you can read about sage in detail here. 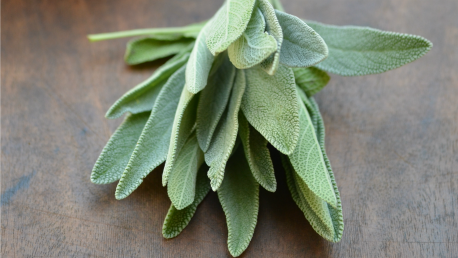 Boil a handful of sage leaves in 1/2 cup water till it reduces to 1/4 cup and strain. Let cool completely and use it to make the shampoo. I've used allo veera and lemon separately.. aloe veera gives good result. Lemon also gives result. But hair fall increasing at a high rate after applying lemon. Where did we buy Castile soap? You can buy Castile soap through online shops like Amazon.in…..
Can we store this or prepare fresh every time? Though you can prepare it fresh each time, this anti dandruff shampoo can be stored at room temperature for about 5 to 6 days. You can also refrigerate to improve the shelf life even longer…..